Dr. Florina Speth is Project Lead of the long-term study "The future of your children" at the 2b AHEAD ThinkTank. The long-term study investigates possible futures of ten children born 2015 in Germany. Since these ten children start into our world with a statistical life expectancy of 100 years, the study reaches out into the 22nd century. Prior to this, Speth was Postdoc at ETH Zurich at the Institute of Robotics and in Dresden and carried out research in the field of rehabilitation robotics and neurology. 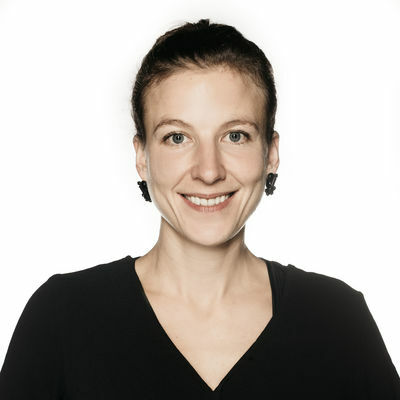 She gained her PhD in the field of robotic rehabilitation and sound at HU Berlin and worked clinically in the field of technology-supported neurorehabilitation. In Cologne she studied Cognitive Sciences of music and language. At the age of 10 she began to study cello and piano at the Mozarteum Salzburg. Currently she is composing the opera "Mars child" with electronics.